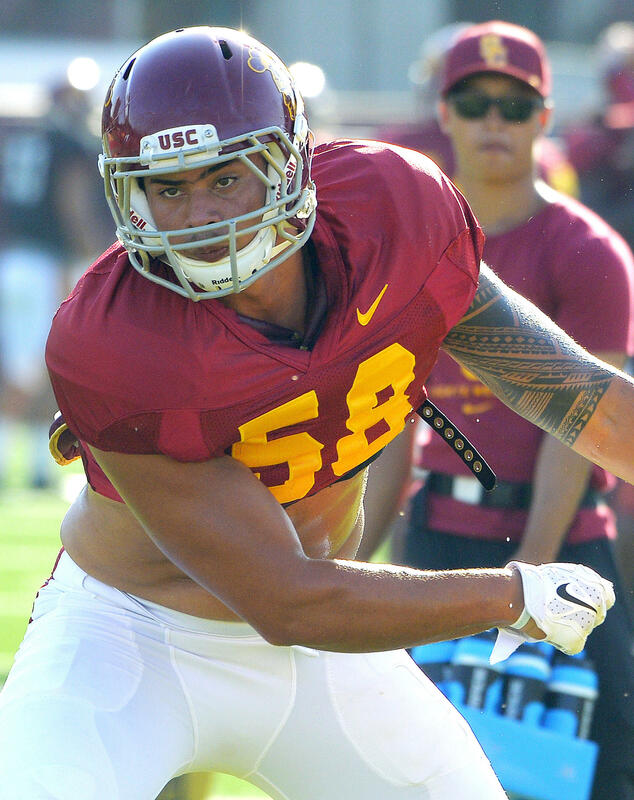 LOS ANGELES - USC has sent linebacker Don Hill home from Dallas, where the No. 20 Trojans are set to open the season Saturday against No. 1 Alabama. The team on Friday would say only that Hill had violated team rules, but a search warrant and affidavit from Los Angeles County Superior Court obtained by ESPN, TMZ and the Los Angeles Times say he is under investigation for sexual assault. The court documents show it’s the same investigation that is looking into another USC linebacker, Osa Masina, who did not make the trip to Texas, with the team again citing violation of team rules. Masina and Hill assaulted the woman at Hill’s off-campus apartment on July 14 after giving her marijuana, Xanax and alcohol, the court documents allege. The documents say Masina also shot the assault on video and sent it to the victim’s ex-boyfriend. Masina alone assaulted the same woman in his home state of Utah on July 26, the documents allege. Police Lt. Dan Bartlett in the Salt Lake City suburb of Cottonwood Heights confirmed the investigation of Masina for The Associated Press earlier this week. Neither player has been arrested or charged. Defense attorney Greg Skordas says Masina is cooperating with police. Information on an attorney for Hill was not available. Hill was also suspended by the team in 2015 after being arrested on suspicion of driving under the influence in his hometown of Boise, Idaho.